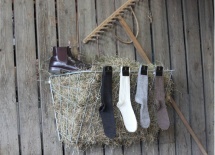 Alpaca socks "As strong as silk as soft as cashmere." Alpacas are bred in Peruvian highlands coping with extreme temperatures. Alpaca fleece has to be light weight and yet hold high insulating properties. The Alpaca fibre allows for breathability and moisture absorption from the skin allowing your feet to always remain fresh and comfortable at the right temperature. Alpaca fleece is more like human hair than anything else, it doesn’t absorb moisture the way other wools do, sheep’s wool and cashmere included. The way it channels the moisture also aids in controlling the humidity adding a level of thermal protection. They are as soft as cashmere to wear, but far more hard-wearing and built to last. 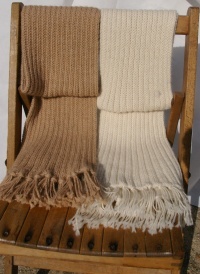 Alpaca wool has higher insulating properties than any other fibre it allows your skin to breathe and self cleans. 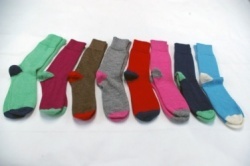 This is also why you will find that your alpaca socks do not smell as quickly as your ordinary socks, the alpaca fibre does not retain odour because it doesn’t absorb it – genius! This means bacteria can’t cling on and make them smelly. Moisture can breed bacteria which causes odour and can contribute to foot fungus and other unhealthy issues. 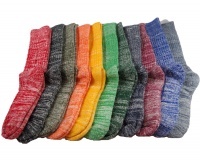 Amazing, you can wear the same pair of socks for several days and they will stay soft and fresh smelling – it is truly miraculous a natural, breathable, antibacterial fibre!